This Tampa FL home owner had some hallway carpet spots that were driving him crazy. His carpets were only four months old and he already had spots in the hallway. This type of spotting is not unusual and can be remedied quite easily. 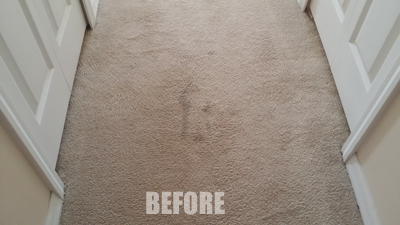 With a good pre-spray and some dwell time on the carpet and these spots were gone. Removing carpet spots is just part of the job. 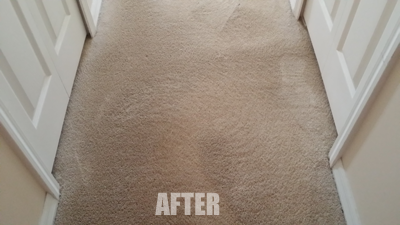 If you have carpet spots that you want gone call Chem-Dry of Tampa FL.